The Community needs your help. Please consider giving of your time to help your community by becoming a Board Member on one of the following boards/commissions: Zoning Hearing Board; Planning Commission; Human Relations Commission; Historical Restoration Commission; and Police Pension Board. 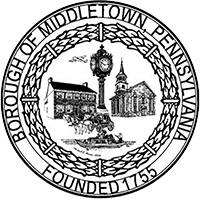 You must be a resident of Middletown Borough to apply. Please send notice of interest and in what capacity you wish to serve to jobs@middletownborough.com. Your community thanks you.